Did you know he started as a child actor in theater?! The hunkiest journalist ever (Can you hear my fangirling heart beating oh so very fast now?! ), Atom Araullo, is slowly opening up about his private life and shedding his serious public persona. The interview table turned when Atom recently visited the set of ABS-CBN morning show Magandang Buhay. Atom was quizzed about his childhood and teen years and he generously shared tidbits about his past. 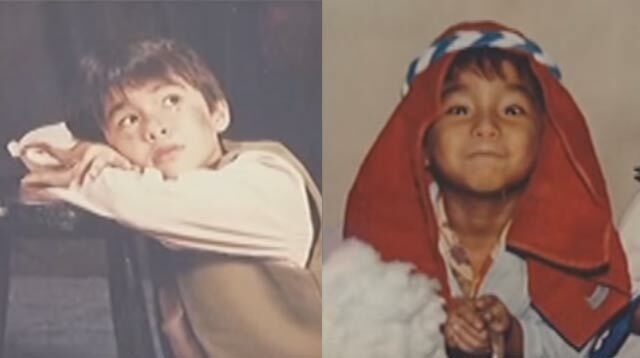 Here, we gathered the most interesting (they are for me, OK) bits and pieces about Atom Araullo’s childhood. 1. Atom was active in sports at a young age—he biked around his village and enjoyed swimming. 2. He starred as the titular character in the Broadway musical Oliver! when he was part of the Ateneo Children’s Theater. SUCH A CUTIE THAT CUTIE PIE. 3. He played the street game siato with his neighbors and loved catching insects. See #4. 4. He was really good in catching dragonflies that he even sold them to his classmates! 5. Atom was born to explore! He’d always miss the school bus going home because he’d wander around the Ateneo campus. To know more about youngin' Atom, watch the Magandang Buhay clip below!